Katherine Lewis is an assistant professor at the University of Washington's College of Education. Her research lies at the intersection of math education and special education and is concerned with understanding the nature of mathematical learning disabilities. Students with math learning disabilities experience persistent and pervasive difficulties learning even elementary mathematics. Dr. Lewis’s work centers on an understanding of disability in terms of cognitive difference rather than deficit. This theoretical orientation – informed by a Vygotskian perspective of disability and disability studies – involves identifying differences in student’s understanding as they occur in authentic learning environments, evaluating the accessibility of instruction, and considering ways in which students may compensate. In her recent work she focused on the mathematical domain of fractions. 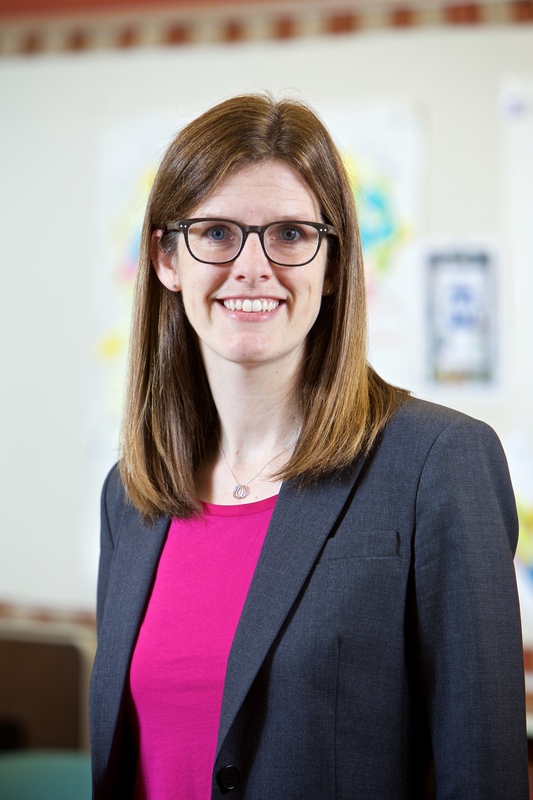 Her current work involves designing alternative instructional approaches and extending her analytic foci to other mathematical topics to provide a more comprehensive view of math learning disabilities. In addition to her work on MLDs she also investigates how to design more accessible instruction for all learners. Lewis, K. E. & Lynn, D. L. (in press). Access through compensation: Emancipatory view of a mathematics learning disability. Cognition & Instruction. Lewis, K. E. & Lynn, D. L. (2018). An insider’s view of a mathematical learning disability: Compensating to gain access to fractions. Investigations in Mathematics Learning. Lynch, S. R., Hunt, J. H., Lewis, K. E. (2018). Productive struggle for all: Differentiated instruction. Mathematics Teaching in the Middle School. 23(4),194-201. Schoenfeld, A. H. & Lewis, K. E., (2016). Becoming a researcher: A reflection. Journal of Education, 196(2), 63-69. Lewis, K. E. (2014). Difference not deficit: Reconceptualizing mathematical learning disabilities. Journal for Research in Mathematics Education, 45(3), 351–396. Lewis, K. E. (2010). Understanding mathematical learning disabilities: A case study of errors and explanations. Learning Disabilities a Contemporary Journal 8(1), pp. 21-30. Saxe, G.B., Earnest, D., Sitabkhan, Y., Haldar, L.C., Lewis, K.E., & Zheng, Y. (2010). Supporting generative thinking about integers on number lines in elementary mathematics. Cognition and Instruction, 28(4), pp. 433-474.